The grass roots effort to promote the induction of Harry Nilsson into the Rock and Roll Hall of Fame is in full swing, yet the biggest event is still to come. On August 10, fans of Harry Nilsson, including musicians and others you may recognize, will go into a recording studio to record an anthem calling for Harry to be recognized by the Hall of Fame. You can support the effort by donating to the Go Fund Me campaign to raise money to cover the expenses of renting the studio and recording the song. The San Diego Rep, located in downtown San Diego, California, presents “Everybody’s Talkin’: The Music of Harry Nilsson,” from May 23 to June 21, 2015. Two Tony-winning Broadway actors, Alice Ripley and Gregory Jbara, star in the “song cycle that explores the incredible journey from innocence to adulthood through the many stages of love.” Based on the music of “the most famously anonymous composer and performer of our time,” Harry Nilsson, “Everybody’s Talkin'” was created by Steve Gunderson and Javier Velasco (the award-winning team behind “Suds: The Rockin’ 60s Musical Soap Opera” and “Back to Bacharach and David”). Joining the recently announced biography and RCA box set, Varese Sarabande Records CD of Harry Nilsson’s, Flash Harry, is coming August 13. Originally released on LP and cassette, and only outside the US, by Mercury Records in 1980, Flash Harry was the last album Nilsson released. The last three tracks are previously unreleased outtakes from the Flash Harry sessions which took place at Cherokee Studios in Los Angeles. They feature Lowell George, Fred Tackett, and Bill Payne (of Little Feat); Ringo Starr; Van Dyke Parks; Jim Keltner; Jim Gordon; Klaus Voormann, Dr. John; and Donald “Duck” Dunn. The CD includes an eight page booklet with additional liner notes by Jerry McCulley. A vinyl version of Flash Harry (limited to 2,500 units) is also planned. The LP will not contain the four bonus tracks. Now that Amazon.com has spilled the beans a little early, here’s a part of the big news that I couldn’t report earlier! The three newly-compiled CDs, Nilsson Sessions 1967-1968, Nilsson Sessions 1968-1971, and Nilsson Sessions 1971-1974, contain a total of 58 tracks, half of which (29 tracks) are previously unreleased. The set will be released in July, 2013. It is available for pre-order from Amazon.com. Chester Cannon, of the For the Love of Harry Nilsson blog, suggests that you may be able to order the upcoming box set for less from Amazon.co.uk even if you are in the US. 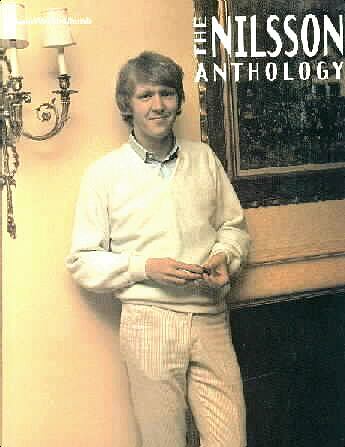 You may have noticed that the Harry Nilsson Web Pages web site has a new home at http://www.nilssonschmilsson.com/. 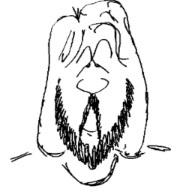 I moved the site to the new domain because Sony is developing an official Harry Nilsson web site which will reside at http://www.nilssonschmilsson.com/. Until the new site is ready, HarryNilsson.com will automatically forward to NilssonSchmilsson.com. I’ve always understood that it was a privilege for us to be allowed to use the HarryNilsson.com domain name. Domain names like HarryNilsson.com are very important, not so much for the traffic they attract, but because they impart authority to the web site associated with the domain name. While we think of Harry Nilsson as an incredibly gifted singer and songwriter (and to many of the wonderful people I’ve met over the years, a friend and family member), the name “Harry Nilsson” also represents a very valuable business asset. Although The Harry Nilsson Web Pages site was never the official Nilsson web site, many visitors probably thought it was due to the domain name. It’s a great compliment to the fans of Harry Nilsson that Una Nilsson, Lee Blackman (the manager of Harry’s Estate), and RCA/BMG/Sony allowed us to use it for so long. Many thanks to Una, Lee, and Sony! The transfer of HarryNilsson.com to Sony was completely amicable. Lee Blackman called me and asked if I was willing to let Sony have the domain. Without hesitation, I said “yes.” At Mr. Blackman’s request, Sony will include a link to NilssonSchmilsson.com on the new web site. I’m looking forward to seeing the new official Harry Nilsson web site. It’s just the first of many new, exciting Nilsson-related developments on the horizon.